Security Memetics: Who's Copying Who? I'm sure I'm not the only one who's seen questionable upgrade prompts from AV products. 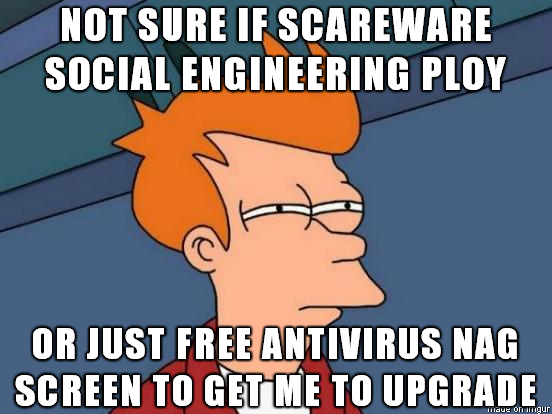 Frankly, I have a feeling they pre-date scareware, which suggests that the scareware authors were just following free AV's lead.